My sister told me her Rebbetzin had a minhag: If after going to the mikveh she did not have relations with her husband that night, she should sleep with a knife under her pillow to fight the evil spirits that are empowered by the absence of marital relations after purification. Does anyone have a source for this and is this situation related to Tehom Raba, the great abyss which opens up when "renewing the Torah w/o sufficient knowledge" (which I believe includes blessings in vain) (Zohar 68, 69 1) in which Lilith and her demons slay hundreds of thousands in the empty firmaments? However, if one were to claim that the renovation of the Torah by one who does not even know what he is saying creates a firmament, then look at one who is not familiar with the secrets of the Torah: since he renews the Torah without having sufficient knowledge, all that he renews ascends, and the reverse side of man (male part of the impure force), and the false tongue (from Nukva of the impure force, called Tehom Raba – great abyss) comes toward him. 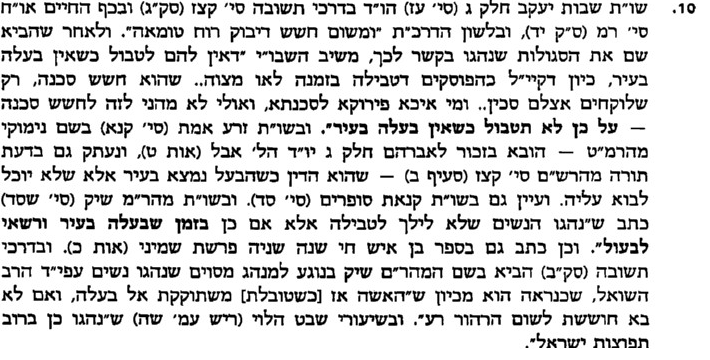 This reversed man skips 500 Parsaot (measures of distance) to receive this renewal of the Torah, takes it and makes a false firmament out of it, called Tohu (abyss). And this reverse man then flies across the empty firmament, traversing 6,000 Parsaot in one bound. And as soon as this empty firmament stops, an impure woman emerges at once, seizes onto this empty firmament, and partakes in it. She leaves it and slays hundreds of thousands, for as long as she remains in this firmament, she has the authority and power to fly and traverse the whole world in an instant. 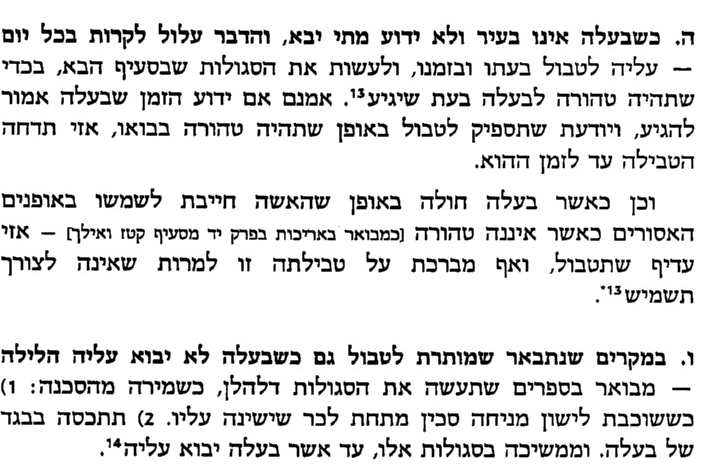 This is sourced in the Sefer Tahara K'halacha which brings that if a a woman is waiting for her husband who is out of town but does not know when he will return should be tovel so she will be mutar to him whenever he arrives. However, he brings segulos that the woman should perform to prevent any danger. This includes a knife under her pillow,or cover herself with a beged of her husband until he returns(see Ben Ish Chai which is mesupak if it is needed all nights or just the night of immersion). Not the answer you're looking for? Browse other questions tagged minhag mikvah-ritual-bath evening-night zohar .